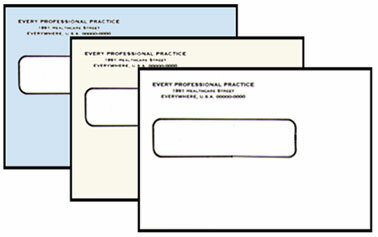 (15-1611) Touch and Seal window left mailing envelopes. 4 1/2" H x 6 5/8" W, window 1/2" from left, 2" from bottom. Sold in lots of 500. Choose from 1, 2, 5, 10 or 20 lots only. Price includes address imprints. Choose blue, ivory, or white.